I debated doing today, since it is technically not a true "carol". I added it onto the printable at the last minute, because I 100% adore this song (I'm a huge Relient K fan, and their Christmas album, "Let it Snow, Baby, Let it Reindeer" is my absolute favorite) but I couldn't decide if I wanted to write about it. Now, that the day is almost over, I have decided I will! So many people talk about the "after Christmas letdown" but it is actually one of my favorite times of the year. I love to take down my tree, usually the day after Christmas, it has never stayed up past the 28th. I have friends who think that is crazy, but there is something so alluring to me about starting the New Year with a fresh, clean slate. In my house *and* in my heart. There isn't anything magical about the 1st of January, but it is easy to use it as a turning point. I don't really make New Year's resolutions, but it just feels like such a lovely beginning. The craziness of the holidays are over, life returns to a more regularly scheduled program and it just feels like anything is possible. I love to use it as a point of renewal, reminding myself to focus on what is really important, continuing to work towards a stronger faith and love in Christ, and eliminating everything that isn't completely what He wants. Christmas *does* make way for spring-when all things are new. Don't despair because Christmas is over-it is just the start of love and light. This is the year to do whatever you do in word or deed for the Lord. That's a good thing! 1. What are some ways you can continue to channel the "Christmas spirit" through the New Year? Why do we limit our love for peace and joy to just one month? 2. New clothes for a New Year: what can you do *today* to put on garments of "compassion, kindness, humility, gentleness and patience...and love"? What about all year? Don't restrict the Christ of Christmas to December! The day is finally here. All the holiday planning and preparing is about to come to fruition. Just like the night Christ was born. God carefully constructed His redemption story from the very beginning, and now He would set it all in motion. His lovingly wrapped Present didn't come in colorful paper or have a photo-worthy bow. But He had chosen it with the utmost care and He would give His very best...His One and Only Son. Don't skip today's song, please? I found out an interesting fact: the original French version of the poem on which this song was based was written by a professed atheist. He was a noted poet and so the parish priest of his town asked him to write it to celebrate. That makes it clear: you can celebrate Christmas without celebrating Christ, you can give beautiful gifts, and sing lovely songs, and do all the right "things" and still not mean it. We can redeem this though by having hearts of true worship-we give the day its due value and meaning when we sanctify it by having our hearts and minds centered on Christ. Today of all days, the one the world has chosen to celebrate the Most Important Birthday Ever, we should take some time and add prayer and worship to the top of the list, don't you think? He gave His all, so that we can truly have all. Today is the day! 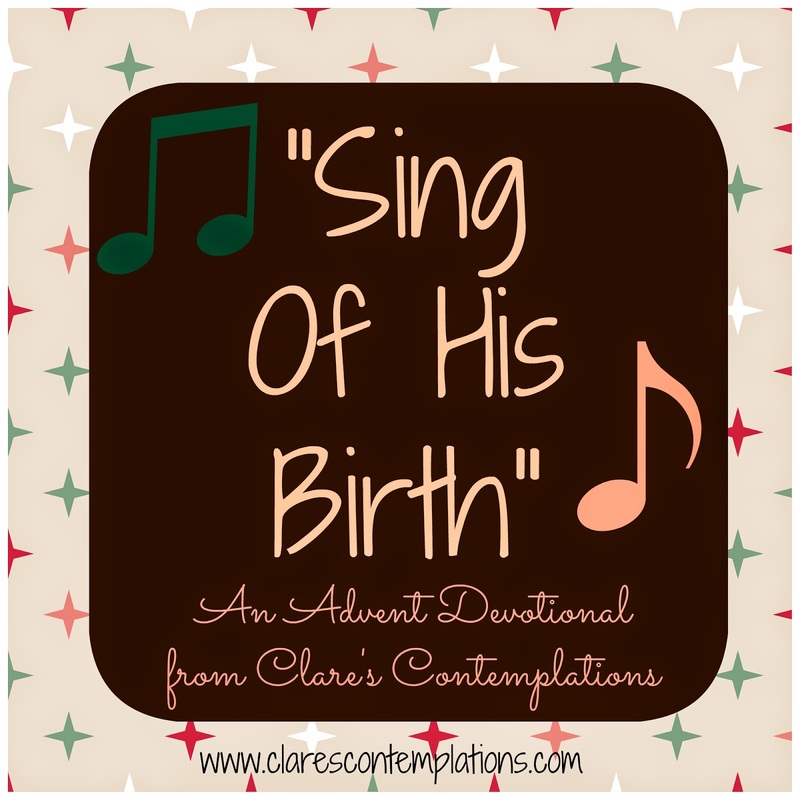 Sing of His birth! 1. Why do you think a posture of kneeling or bowing is repeated so often in Scripture? Is there merit to that? Or is it just an ancient tradition we no longer need? Perhaps you would kneel in prayer today, maybe even bow down, face to the floor. Does that humble you? 2. Christmas night: when the Divine met the earthly as had never been seen before. Truly, the created had a first time opportunity (since Adam and Eve) to bow before the Creator. Do you see the beauty in this? What is your favorite character in the story? How did he or she demonstrate reverence and awe? How can that instruct your own worship. 3. Make plans to worship today, corporately or own your own. Expect to meet God the same way the Magi did. I think you will be surprised. Looking for the printable? Find it here. I remember loving this song as a child. It seemed dark and mysterious, exactly the way I pictured the Magi. There are only a few sentences about their arrival. And once I realized that pretty much they were *not* at the manger, I focused on correcting every nativity I ever saw. This was accomplished by placing all three "kings" as far away as possible from Jesus and His parents. The shepherds could be close by, but those impostors didn't belong at Christmas! I apologize now, because clearly I was caught up in my misplaced sense of justice. Those "kings" (who weren't really kings at all, they were an elite group of exceptionally learned men) definitely earned their spot in the Nativity story. And I love them so much more, now. They were the ultimate seekers, feeling their need for Jesus so strongly it drove them to leave everything they knew, their own wealth and stature, their homes and families, behind in search for the Greatest Gift. Those kings, they humble me, shame me with my insecurities and grasping at worldly treasures, when I already have everything, and the Only One I will ever need. So, if you are judgmental like I was, don't overlook this one. See what it is really saying. 1. The Magi recognized the kingship of Christ, in part because they themselves were in positions of authority. They could see the similarities in the prophecies of Christ's coming and the responsibilities their own jobs required. What "Kingly" responsibilities do we see in Christ's life? Are they all "high and mighty"? 2. We sometimes use the term "come to Jesus" when talking about a person's acceptance of salvation. How did the Magi illustrate that for us? When they "came to Jesus" what did it mean in terms of their posture and attitude? How can we continue to "come to Jesus" after we are saved? This song should bring Scrooge to mind. That isn't because there is anything miserly or stingy about it, but because it is mentioned in the first chapter of "A Christmas Carol" by Dickens. We all love that quintessential Yuletide story. It is all about second chances and redemption, and well, God blessing all of the world and give us true joy, which does have a way of making one merry, doesn't it? Scrooge reminds us the worst of scoundrels can see the light, that "when we were gone astray" "Christ our Savior was born on Christmas day"...Always there when we need Him most, isn't He? Lyrics: "God Rest Ye Merry Gentlemen"
1. Jesus came as THE King- meaning He had (and has) all the power and prestige fitting the highest royal Person. He had the power to free us from sin, He was the only one. To deny Jesus' power is to, in a way, say that Satan has more control. Do you ever do that in your own life? When you doubt, or worry, isn't that in a way denying Christ's power over everything? "Let nothing you dismay"...how can you acknowledge that truth through Christ? 2. The 7th verse (Does this one have a crazy number of verses or what? EIGHT!) speaks of brotherhood, and the verses from Romans talk of how "we have received grace and apostleship". How can we exemplify those things through our unity? Why is that such an essential to the Christian life? I have fond memories of this song. I don't have the most pleasant of voices, it isn't like nails on a chalkboard or anything, but I can count on one hand the number of times I have sung in front of an audience that I wasn't hiding out in a choir. One of those was the illustrious performance of "Silent Night", and another was this song, which I performed with several of my sisters and my mother. That is the single time that I have done that as an adult. I had never heard this song before my mom suggested we sing it at a Christmas Eve service, and I immediately liked it. We did *not* sing all six verses, nor did we sing it perfectly. However, we did sing it joyously, as a humble homage to the King. I'm guessing that the shepherds paid their respects in much the same way-knowing they had little to offer, but giving all they had, confident He would make up the difference. Lyrics: "While Shepherds Watched Their Flocks By Night"
1. It's pretty obvious throughout Scripture that God is pretty fond of shepherds. (Read about David if you need reminding!) However, He didn't elevate their status-sheep herding wasn't a plush job, they didn't make six figures, or have any status of which to speak. You would think if He liked them so much, He would have changed all that, right? Why do you think God chose to allow shepherds to maintain such a lowly position? What part did that play in the Christmas story? 2. Our pastor spoke of the shepherds this morning and he pointed out something I had never noticed before: the shepherds were not commanded to find Jesus, they chose to go. That is such a great example of our own freedom to choose Jesus. How else do their actions concerning seeking Jesus, finding Him and sharing Him are a reflection of the experience of a believer? Note: The tune for this song actually has several sets of lyrics. The version that I associated with this title is often called "Ring Christmas Bells", although it is also simply called "Christmas Bells". The version that is actually used with this name is here. Either will work for the calendar, but I am specifically referencing the first one. This is one that isn't even in the good ol' SBC hymnal. However, when you are the author, you get to be "in charge", whatever that means! So, I decided to use my official power and put this one in, because it is one of my favorites. The repetition of the notes in the tune make it almost unforgettable, and then couple it with the simple, yet powerful, lyrics and it is perfection in my mind. The song is based on an old Ukrainian folk chant, and it pre-dated widespread Christianity there. It was a secular song with lyrics that spoke of the New Year. After the Gospel was shared there, it was "converted", and the lyrics were eventually re-written, well, because Jesus changes everything, right? That's the story of Christmas! Lyrics: "Carol of the Bells" or "Ring Christmas Bells"
1. The bells are tolling the good news that Jesus is here! How does that reflect what we do when we sing? Do you really think that our music makes a difference? 2. "Every knee will bow and every tongue confess"...we think of this as a beautiful gesture of reverence on the part of the believer, but what will this look like for those that never acknowledged Christ? For a Christian, this is something we *want* to do, but we know that isn't true for everyone. Do you ever think about the time that Jesus will return as the conquering Hero and demand the place that has always been rightfully His? 1. The Bible has been called the "greatest story every told". Do you really believe that? What is so fascinating about Jesus? Do you think that planning a completely engrossing story was intentional on God's part? 2. We love a happy ending-truly, everyone does. The Bible gives us the opportunity to guarantee our own picture perfect conclusion: salvation through Christ means eternal life in heaven. Doesn't that make all this worthwhile? Why are we hesitant to proclaim that definite truth? 3. Stories of Jesus were told in Christ's own day! I love, love, love to think about that. What do you think they said? Was He a "celebrity"? Which story would you have liked to have witnessed? Looking for the entire printable? Find it here. Wow, less than a week until Christmas. It's crunch time for real if you are a procrastinator (I am over-loader, not quite the same, but I still have plenty to do!) and this is the time when Jesus really gets pushed to the back burner in the hustle and bustle. This carol is the perfect remedy if you are wont to overlook the "Reason for the season" right now. This song is one of the few (perhaps the only, I haven't looked at every single one yet) that is by a woman. I couldn't find any information about it, but the lyrics really have a sensitive, feminine touch in the best of ways. The third verse is just stunning. Stop and take a few minutes to sing (or just read) this beautiful song. It will put your focus back where it belongs. Because if He could leave His throne for us, I think we can leave behind our busyness, stress and worry for Him. Sounds like a delightfully un-fair trade, right? Lyrics: "Thou Didst Leave Thy Throne"
1. Christ gave up His rights so that we might have mercy that we in no way deserved. Why then do you think we are so loathe to give mercy to others? He hears the afflicted, the fatherless and the oppressed. How have you done that recently? If you haven't done that, how can you? 3. If you were Jesus, what would be the most difficult part of leaving your throne? Christ was 100% human, so I am sure there were moments when He remembered, and perhaps even missed or longed for, His heavenly home. Have you ever thought about that? Looking for the printable? It's here. This is my husband's favorite carol, I think in a large part because he likes the tune. I however, like it because it falls into that melancholy, low, slow category. I'm not really sure why I lean towards those, but clearly they are my favorite. Also, I love the words. It seems that this carol would be one of those written in the 13th-14th centuries, but in actuality, it is much more recent. It is from 1865, and the author was suffering from a near fatal illness that resulted in a renewed interest in Christ. A spiritual awakening that came during a really dark time? Sounds a lot like Christmas to me! Lyrics: "What Child Is This"
1. We really tend to take for granted that we know who Christ is, and surely that was easily recognized by His contemporaries. However, that was probably not the case-most did not likely realize who He was. Which leads me to think if we are mistaken about that assumption, do *we* really know who He is? Who do you say He is? Why? 2. The verse from Luke is short but poignant. Mary was pondering all these things...she was probably trying to figure out exactly "what Child is this" herself! What do you think she thought in those first few hours? Days? Do you think she had the same thoughts most mothers do? 3. Why do you think "Jerusalem was [disturbed]" with Herod? Was it unnatural for them to side with their known, earthly leader? Do you think we ever do that type of thing today? Christmas carols are absolutely essential to my celebration of Christ's birth. I can't think of many things that bring people together like music does, and when I sing songs, like this one, from the 15th(!) century, I can picture people all through the ages rejoicing in His arrival. It gives me a great feeling of unity, and really helps fuel that "love for my fellow man" thing that is so associated with this season. Music is often a catalyst for worship, and it isn't any different at Christmas. It gives us an ideal atmosphere for focusing on God, and while it definitely isn't the only way to worship, it is one of my favorites. I'm pretty sure God likes it, too-if you need more convincing than my humble opinion, spend some time in the Psalms and then let me know if you don't agree. Lyrics: "Sing We Now Of Christmas"
1. Why do you think God likes singing? He didn't give us all perfect pitch, but the Bible never says that should keep us silent. Why do you personally think music is a good way to praise God? Maybe you disagree-why? 2. The Magi came to "worship" Christ. Do you think that they sang to Him? What other forms of worship are there? Was it just their gifts? Do you really believe our tradition of gift-giving can be a form of worship? Why or why not? 3. Can you list at least five reasons why we should worship and praise God? What is your personal way of expressing yourself in worship and praise? Do that today. This carol will probably be familiar, although it doesn't receive the air time that some of the most popular ones do. I actually really like that about it, and also, it isn't your typical carol. The couplets are fun, and they give it an unusual rhythm (I'm sure anyone musically inclined could say much more about that than I, and describe it much better!) . However, I really love that this carol focuses on the little details-the lowliness of Christ's birthplace, the animals that were likely there. It nicely juxtaposes both the height of His holiness with His absolute down-to-earth humanity. And I like a good comparison. Lyrics: "Infant Holy, Infant Lowly"
1. The Isaiah passage focuses on Christ's physical appearance-nothing about it would have been anything other than commonplace, average. He did not use his looks to attract people to Himself! Why do you think this was important? Why do you think that we usually picture Jesus as being physically good-looking? Is it our own vanity? Because He certainly wasn't concerned with His outward appearance! 2. Christ was despised, rejected, and looked down on, yet He gave us the right to become children of God, joining Him in the true royal family. How does this help us to realize that all of the aspirations of the world are completely backward? Christ was not afraid to be "lowly". Why are we so concerned that we won't be given our proper due? What do we really deserve? We don't know who wrote this carol, only that it is a traditional French one. This isn't the only common carol that has an unknown author, but it got me to thinking: if I wrote a song as famous as this one, I think I would want my name on it! Just being honest. But in reality, this song is such a perfect picture of what our lives should be as believers: continuous praise to our Savior, and His is the only name that need be made known. I can picture this long-gone poet proudly singing his song before his Maker, and he knows that is really giving credit where it is due. His name may be lost, but his song continues, prompting worship and praise for ages, and putting the focus squarely where it should be: on Christ. Lyrics: "Angels We Have Heard On High"
1. Both the passages list reasons why we should give "glory to God in the highest". As you think about those, what are some specific things in your own life for which you give God the glory? 2. "For My thoughts are not your thoughts, neither are your ways My ways." (Isaiah 55:8) How is this statement from the Lord made so obvious through the Christmas story? Truly, Christ's birth showcases God's skill as the ultimate Story Author. His creativity is boundless. What are some things in this world that make your breath catch? Your eyes water? What makes you want to break into "joyous strains" when you think about how perfectly God planned it? Take a few moments to be still in awe and worship. Lyrics: "Away in a Manger"
1. Jesus, who had all the power of God, did not consider Himself equal with God-even though He was! Every step of His life here on earth was marked with humility. Why does that make His message even more powerful? Why is humility also an essential to our own testimonies? 2. Have you ever really considered how lowly Christ's beginnings are? Even if you have, really reflect on that now. Perhaps you will weep when you think of how our SAVIOR came to earth. If it doesn't move you in some way, keep looking until it does. 3. In my personal opinion, God directed Christ's birth in such a manner to eternally remind us that He came as a servant, but there was nothing "normal" about Him. What specific parts of His birth story highlight that for you? Which parts were ordinary? So, today I can redeem myself with my mother. She may not care for "Go, Tell It On The Mountain", but today is her favorite. I don't know if she is familiar with the story behind it, but I know it will only increase her fondness for this beautiful carol. The short version: Henry Wadsworth Longfellow (yes, the same famous American poet) wrote this in the thick of the Civil War, after his son had joined the Union Army against his father's wishes,and was gravely injured shortly thereafter, and Longfellow's wife had died in a tragic accident. He surely bowed his head in despair many times during those black days. But rather than allowing Christmas to increase his sorrow, Longfellow realized that the true meaning of that day is hope-for salvation, for love, for forgiveness, and for restoration, if not here on earth, than definitely in heaven. Isn't that just wonderful? Lyrics: "I Heard the Bells on Christmas Day"
1. The strongest recurring theme here is peace, in both the songs and the verses. It is easy to see why Longfellow craved peace, but don't you, too? Why do you think Jesus is called the "Prince of Peace"? 2. Peace and reconciliation are both mentioned in the passage from Colossians. Can you have reconciliation without peace? Or peace without reconciliation? 3. "God is not dead, nor does He sleep"...sometimes when life is hard, the opposite seems true, even to a believer. We have so many promises from the Lord that He will never leave us, and yet we still struggle. What are some practical things you can do to counteract those lies? How can you remind yourself that He will "reign...forever"? This may surprise you as much as it surprised me, but this is probably the oldest carol in the bunch. I haven't studied them all yet, but this one was believed to be written (in Latin) in 1328! I think that is one of the things that I love the most about Christmas carols-how enduring they are. They have united people in the shared language of music for centuries, and I hope that tradition continues. This is one of my top five favorite carols, (its really hard to choose just one favorite!) and so it makes me happy to know that it has stood the test of time. I hope that if Jesus hasn't returned by then, that people are still singing it in 700 years! Lyrics: "Good Christian Men, Rejoice"
1. What do you think: do we "rejoice" because we are "good Christian men (and women)" or are we good Christians because we rejoice? Maybe both? 2. The verses from Acts are quoted about Christ, but they can also be applied to Christians. Isn't it lovely to think that there are Scriptures that talk about Christ, but also about us? It makes me rejoice that through Christ's sacrifice I am worthy of so many wonderful blessings! What are some of the things that make you rejoice about your salvation? 3. We "need not fear the grave" according to the song, and Hebrews 2:15 tells us that Christ has freed us from the slavery that the fear of death has over us. Does that mean it is wrong to be afraid of dying? Why do you think that so many have such great anxiety when it comes to death? How can we conquer that fear through Christ? First of all, can I just say, "I'm sorry, Mom, I had to do it." This carol is my mother's least favorite of them all, and she must have passed that on to me. And for years, I haven't been particularly fond of it, either. Until David Crowder. It is on his "Oh For Joy" holiday CD, but I had never heard it like that before. And as with all things DC, I loved it! And now, after studying it, and finding so many Scriptural connections, I am even more taken with it. So, even if this one isn't on your top 10, give a few minutes. You may find it grows on you! Lyrics: "Go Tell It On The Mountain"
1. The entire theme of this song is the telling. Can you share the Gospel story without telling of Christ's birth? Is that part essential to fully understand Christ's sacrifice? How? 2. The Isaiah passage says that the feet of those who share the "good news" are "beautiful". Those shepherds, those lowly, hard-working, *smelly* shepherds...did they have beautiful feet? Do you? 3. We often think of the angels as the primary "heralds" in this story, but their message was only to the shepherds. The shepherds, however, are the ones who "spread the word" (Luke 2:17). God uses people as His chief manner of proclamation. Ordinary, everyday, even "boring" ones. Are you ever guilty of expecting angels to share the story God has given to you to tell? This song takes us back to where it all began-literally, the first verse mentions the wonder of the creation of the world. Angels, shepherds, wise men, even a nod to Anna and Simeon (Did you catch that in fourth verse?) it seems the gang is all here! Besides a specific reference to Mary and Joseph, James Montgomery was very thorough. No matter the status, though, the refrain (literally and figuratively) is always the same, as it is for us: "Come and worship!" Lyrics: "Angels from the Realms of Glory"
1. Angels are often thought of as being pretty and feminine. Do you think that is the image presented in these verses (note the mentions of wind and fire)? Why or why not? 2. Angels are often presented in the Christmas story as exceptionally prominent. However, they are really servants of God, and they are only a glimpse of His glory. If they are completely awe-inspiring (Everyone was clearly afraid of them!) can you begin to imagine how truly *awesome* God is? Contemplate that for a while-let it give you chills. Can you worship the way the angels do? Looking for the rest of the printable? It's here. I will be honest: this is not one of my favorite carols. I will say I have fond memories of singing it as a solo in church when I was about 8. However, it is one of the most widely known carols, so well known, that during the 1914 Christmas truce of WWI it was sung simultaneously by French, German, and English troops in their respective languages, as it was one carol with which they were all familiar. A song that can bring together warring nations (even if only for a short while)? Sounds a little like a Savior I know. I think a song like that deserves a bit of appreciation and respect. 1. This carol gives us one of the most "romantic" views of Christmas, pictures of a peaceful night, and tranquil Mary, and physically glowing Infant. Do you think this is a negative thing? Should our view of Christmas be more "realistic"? Or is it acceptable to rose-tint it a little because it was such an amazing event? 2. This song specifically refers to Mary's virginity. Why was this so important? Mary's response to the angel's proclamation was simple, but it should really inspire all of us. Seriously think about her obedience in the face of seemingly insurmountable obstacles. Is that kind of faith inimitable? 3. Jesus was the "Son of God", but He was also Mary's son. Do you think that ever caused conflict for her? Jesus was completely human (also, completely God). How do you think He felt about His mother? Lyrics: "O Come, All Ye Faithful"
1. The Isaiah passage talks about what will give us "joy" and "triumph" as believers. What is that? Why do you think that particular commandment is so important? What could that possibly have to do with Christmas? 2. The Word became flesh...what does that really mean? How was Jesus "the Word" before He was born? Why was it so important that He become flesh? 3. 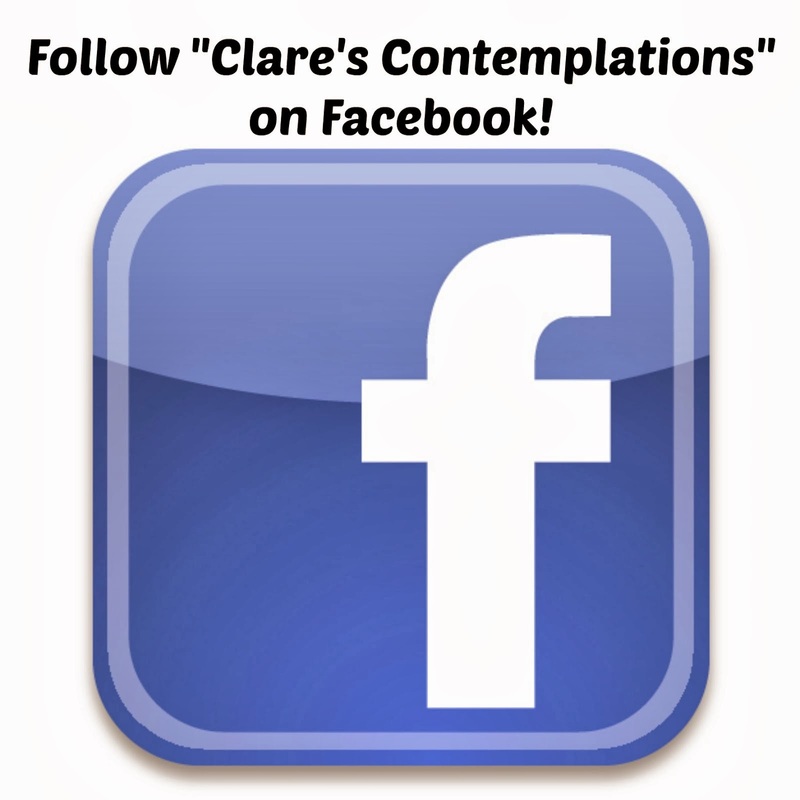 What is something you can do to show your adoration for Christ? What would truly adoring Him really look like? This is another o-l-d carol, as in, its first publication was in 1739. That gives it excellent phrases from a bygone era, as well as intentional use of the word "ye", which was current to the vernacular of the time. You've sung this one literally your entire life, but have you really thought about what it truly says? If not, before you sing it, take the time to read through all the lyrics. They are just amazing, and the second verse is my particular favorite. Lyrics: "Hark! The Herald Angels Sing"
1. Reconcile. This is one of those "Bible" words. We say it, we don't really know what it means. What does "reconcile" have to do with you? How does reconciliation with God *have* to change your life? 2. In the Luke passage, peace is promised to those on "whom His favor rests". Who is that? The Jews? Christians? Humans? You? Looking for the entire printable? Its here. "Joy to the World". A perennial Christmas classic. As familiar as it is, it still retains its completely exuberant nature-it stands in stark contrast to many of the more mellow, lower key carols. So, I have to say, I learned this after I had already put the printable together, but this song is directly based on Psalm 98. Please, please, will you include that in your Scripture reading? I love how beautifully the author tied together the Old Testament and New Testament themes. It speaks directly to the unity of the entire Word. I could go on and on, but I will let you marvel over this one yourself. Lyrics: "Joy to the World"
1. How did the "he", John the Baptist, of Luke 1:16-17 help people to "prepare Him room"? Why do you think it was important to God's plan that John come before Jesus? 2. We often think about Jesus coming to bring us salvation, but how does He also bring us joy? Does your salvation make you joyful? Looking for the printable? Its here. This classic always conjured up a sleepy, peaceful little town of pueblo-style buildings under a starlit sky. The reality was that it was a tiny town, ill-equipped to handle the influx of travelers that the census caused. Bethlehem (this is a brief, but interesting article) was the birthplace to another famous Jewish king-David. That lineage led Joseph, a Davidic descendant, back to the "House of Bread"-the literal meaning of Bethlehem. Pretty fitting name for the birthplace of the "Bread of Life", huh? 1. Why do you think it was important that Jesus was born in Bethlehem, rather than Joseph and Mary's native town of Nazereth? 2. Ruth was from Bethlehem (bonus points if you know how she was related to David). How does her story in some ways foreshadow Christ? 3. We tend to think of Bethlehem as a quiet, dark town. With all the travelers, that very well might not have been the case. Do you think that perhaps all the hustle, bustle and noise somewhat masked that most important birth? Is that an accurate reflection of Christmas in the world today? How? 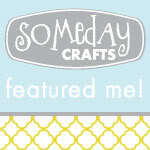 Looking for the printable that contains all 25 days of songs and Scriptures? Its here! This is probably the simplest carol of them all. A single verse, and very few words. However, it is beautiful in its simplicity. And it still manages to evoke all those feelings of wonder that thinking of the birth of Christ should. Perhaps you can find time to sing this one twice? 1. How is "God with us" now? 2.If Jesus birth signaled "God with us" (since He was called "Emmanuel") had God not been there before? What changed about His presence with Jesus birth? How did that change again after Christ's ascension? 3. What specific events in your life have proven to you that "God with us" is really true? This is one of those carols that isn't *quite* as common. It is still heard fairly frequently, but it isn't up there with "Silent Night". I love all the ones that are a little more melancholy, and this one fills the bill. Not only that, but this one is so old it is overflowing with just the most poetic wording. Lovely! Link to lyrics: "Come, Thou Long-Expected Jesus"
or try this one: "Come Thou Long-Expected Jesus"
1. Do you know how long Jeremiah and Isaiah were written before Jesus' birth? The Israelites had been waiting a long, long time. 2. What would you expect if a king were coming? How would you get ready? Are some of those things that we do to prepare for Christmas?